We arrange events for ICAEW members in north and west Cumbria. We support members who live or work across the historic counties of Cumberland and Westmorland. Clare is a qualified ICAEW Chartered Accountant and works as an audit manager at Saint & Co in Carlisle. Her work involves working with charities, academies and industrial companies around Cumbria and South West Scotland. Her role involves helping organisations fulfill their statutory audit requirements and ensure they have the internal controls relevant for their business. Clare’s aim is to continue to work on the efforts of the past few years and to get more members within the Cumberland district involved both socially and with courses. The society is currently made up of 6 local accountants, but we are hoping to recruit further members from a wider range of firms and also to have representation from some accountants in industry. 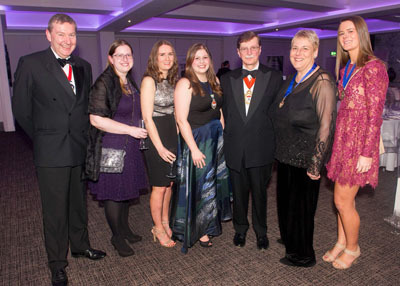 We meet 6 times a year in Carlisle to plan events, organise courses programmes, obtain updates from the ICAEW and pass feedback to our local ICAEW Council Member and Regional Directors. The society also support all events run by Carlisle Futures and Penrith Futures which allow local young professionals to network with other professionals in their area. Follow @CarlisleFutures for further event details and we will most likely see you at one soon. Our future events and CPD courses in Cumbria are listed on the events page. 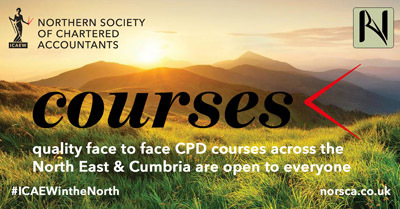 We run a wide range of CPD courses in convenient locations in Cumbria. Top speakers regularly visit our local area to provide updates on topical issues for practicing accountants and tax professionals. Our courses are open to all, irrespective of whether you are an ICAEW member or not. If you have not attended a course before then we would be delighted to see you at one of our upcoming courses in the near future. 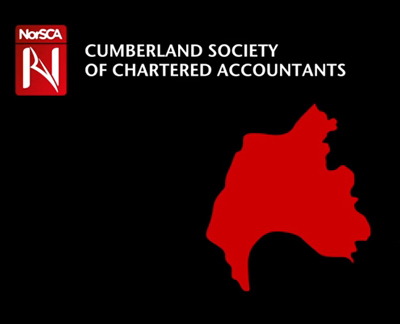 Cumberland Society of Chartered Accountants is part of Northern Society of Chartered accountants.Northern Society of Chartered Accountants (NorSCA) represents 4,000 ICAEW members and ACA students working in business and the finance profession across the North East of England, Teesside, northern Yorkshire and Cumbria.